Emin Mahrt, æternity’s CPO, visited the House of Blockchain today. 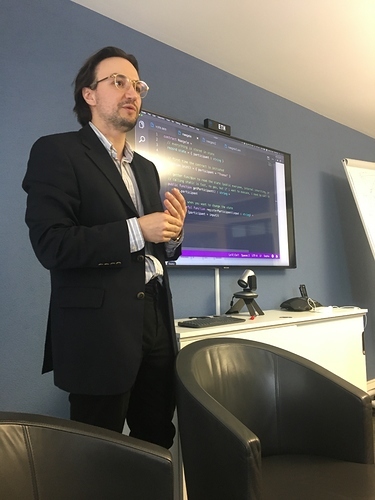 He took 2 hours of his time to give an introduction about the functional language Sophia and to explain the possibilities and potential of the æternity blockchain. In case YOU are interested: Check out https://dacade.org. You will learn the advantages of the æternity protocol and build your first dæpp on top of the æternity blockchain. It would have been nice if there was a recording Share the knowledge with the community.